Welcome to Music Friday when we bring you awesome songs with jewelry, gemstones or precious metals in the title or lyrics. Today, Lee Greenwood sings about making a 24-karat mistake in his 1984 tune, “Fool’s Gold.” His character is agonizing over a broken marriage and losing the love of his life. In hindsight, he admits he was a fool and it was all his fault. Written by Timmy Tappan and Don Roth, “Fool’s Gold” was released as the second single from Greenwood’s third studio album, You’ve Got a Good Love Comin’. The song shot to #3 on the U.S. Billboard Hot Country Songs chart and #5 on the Canadian RPM Country Tracks chart. The album was certified Gold, which means it sold more than 500,000 units. Over his 57-year career, Greenwood released more than 20 albums. He’s also credited with more than 35 singles on the Billboard country music charts, including seven #1 hits. Greenwood is best known for his patriotic 1984 song, “God Bless the U.S.A.” The song regained its popularity during the Gulf War in 1991, and then again after the terrorist attacks of September 11, 2001. 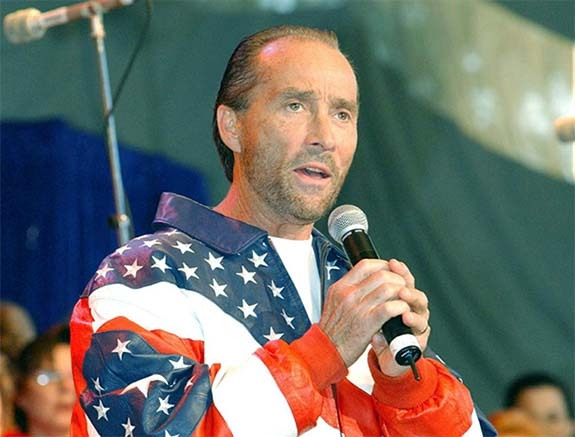 Melvin Lee Greenwood was born in South Gate, Calif., in 1942. He grew up on his grandparents’ poultry farm and started singing for his church at the age of seven. He started his first band at the age of 20 and performed mostly in Las Vegas casinos. When the band broke up in the 1970s, Greenwood made ends meet by dealing blackjack during the day and singing at night. In 1979, he was “discovered” in Reno by Larry McFaden, the bassist for Mel Tillis. Two years later, his demo tapes landed at the Nashville division of MCA. Greenwood earned a contract and McFaden was hired on as his manager. If you were wondering, fool’s gold is a shiny yellow mineral called pyrite that bears a great resemblance to gold, but contains little or no precious metal.